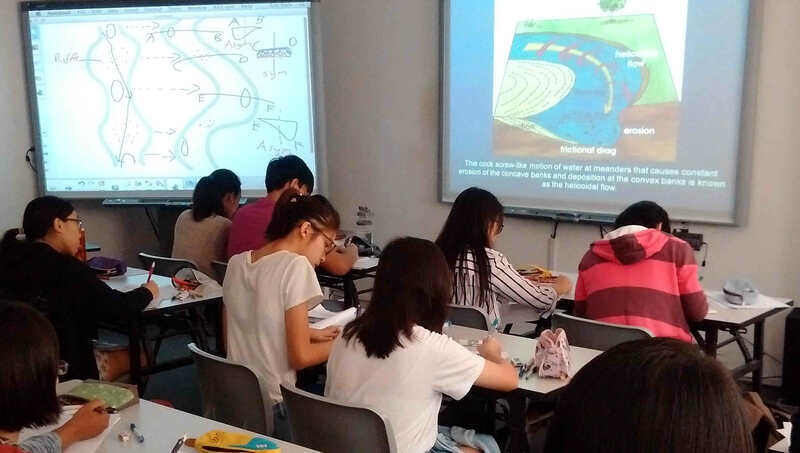 An Ex-JC Lecturer, Mr Eric Goh has tuition students from almost every Junior College in Singapore who scored distinction for H2/H1 Geography. Nearly every year, over 60 percent of his A-level tuition students obtained distinction. 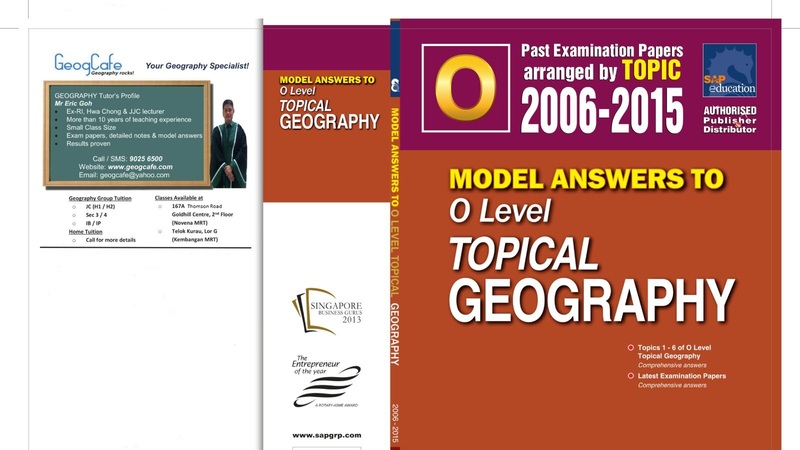 He has been a geography tutor for more than ten years. 1. Every Sunday (0900-1100 – Novena – JC2) (Revision – Theme 2) New Class! 2. Every Sunday (1730 – 1930 – Novena – JC2 ) (Theme 1) Filling up! 4) JC 1 Class Every Sunday (1130-1330 – Novena) Filling up! Every Saturday (1730-1930 -Kembangan) New Class! Every Saturday (1530-1730) – Kembangan New Class! Mr Eric Goh has taught at Hwa Chong International School, and as the subject head, was being tasked to take charge of both IGCSE and final year IB students, resulting in nearly half the cohort scoring distinction for IB/IGCSE Geography. It was the schools best result ever for Geography. For the 2016 O levels Geography, Sec 4 class of Kembangan did amazingly well with all the students scoring A1 for my paper except for 1 student with an A2! Proud of all of you especially Yi Yang who has to be hospitalised for a head operation three months before the examination! 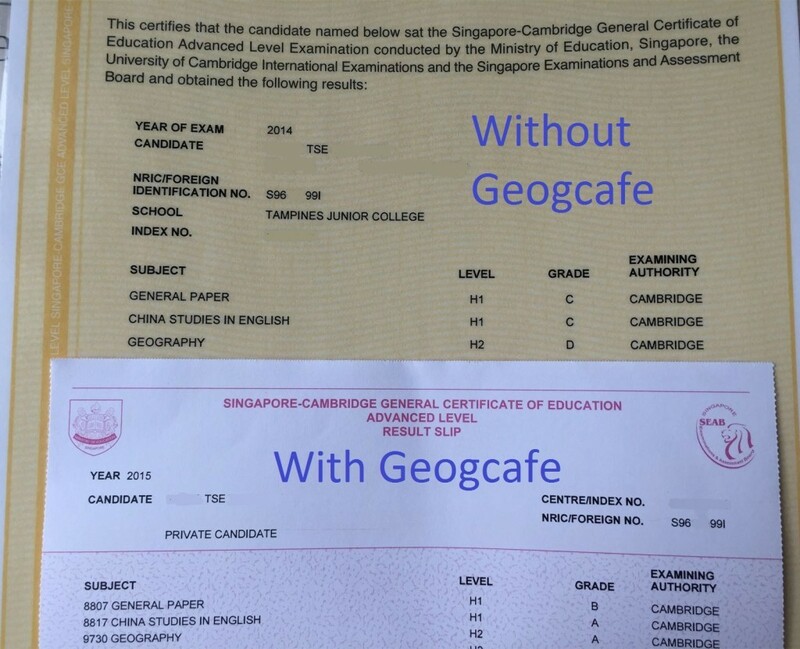 Nearly 70 percent of Geogcafe’s students from 14 different centres (ACJC, AJC, HCI, IJC, JJC, MJC, NJC, NYJC, SAJC, SRJC, TJC, TPJC, VJC and Private candidates), scored distinction for 2015 A levels Geography recently. This is way above national average of 35 percent distinction and on par with Raffles. Do know more of what i can provide via testimonials!